Last month in one of B2S.com’s many gay history lessons we discussed the horrific 1992 gay-bashing murder of U.S. Navy serviceman Allen Schindler. Now thanks to San Francisco activist, and highly regarded citizen journalist Michael Petrelis, A 900-page file from the Navy has been made public, via the Freedom of Information Act about Schindler’s murder which exposes facts of the Navy’s vile homophobia and its cover-up in his murder case. Allen Schindler, was a young U.S. sailor, stationed in Sasebo, Japan in 1992. After numerous episodes of verbal and physical harassment and beatings, Schindler tried to get out of the military. On October 27, 1992, Schindler was brutally beaten and killed by two his fellow sailors. The murder took place in a men’s restroom of a public park. Schindler’s head was bashed repeatedly against a urinal so violently that the porcelain broke. His own mother, Dorothy Hadjys, was unable to identify her poor sons mutilated and disfigured corpse. 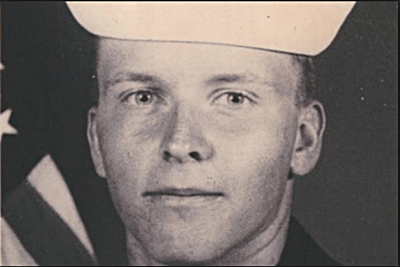 The Navy covered up the Schindler killing, granting a sweetheart immunity plea bargain to one of the suspects, Charles Vins, and convicting the other, Terry Helvey. But gay friends of Schindler’s demanded that justice be served; they shared information about the miscarriage of justice with the Stars & Stripes newspaper, which wrote the first news story about the murder and Petrelis himself lobbied for justice for Schindler, and to hold the Navy accountable. Mike Petrelis is sharing the Allen Schindler file and has highlighted eight pertinent facts about the gay-bashing murder that have never been shared before with the media or public. On this Veterans Day let us all remember Allan Schindler. A noble and patriotic life wasted not on the battlefield of war. But on the battlefield of hatred and homophobia. FBI file available for viewing at: www.dropbox.com/s/htkw50xgrzt5b2l/r_2015-001627%20Release.pdf .